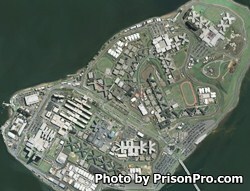 West Facility is a jail located on Rikers Island in East Elmhurst New York. This facility houses the Contagious Disease Unit where both males and females who have contagious diseases are housed in an air-controlled environment to help stop the spread of disease. The main disease this unit treats is tuberculosis, but this is by no means the only contagious disease. The facility is designed to house 940 inmates. Programs at this facility are limited, as most inmates are either sick or will be staying here a short period of time. Visiting is based on the first letter of the inmate's last name. Check the current visiting schedule here for which days you can visit. No visits occur on Mondays or Tuesdays. Wednesday and Thursday visitation registration occurs between 1pm and 8pm, visits last until 9pm. Friday, Saturday, and Sunday visitation occurs from 8am-4pm, registration for visiting is from 7am-2pm.